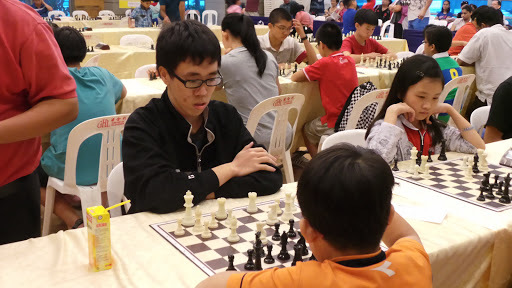 IM Kevin Goh’s(Singapore) Chess Blog-Cool! A great blog with lots of articles. Both Jarred and Luis dominated the respective events so comprehensively that they could even afford to sit out the final round and still claim the titles. Jarred scored 9/11 in the Serangoon Blitz eventually, only dropping games to FMs Tin Jingyao and Liu Xiangyi and shrugging off the challenge of Pinoy masters such as CM Nelson Mariano III, NM Roberto Suelo, IMs Luis Chiong and Enrique Paciencia.